Between the Welsh towns of Mold and Wrexham, you will find a grand Jacobean country house called Plas Teg. 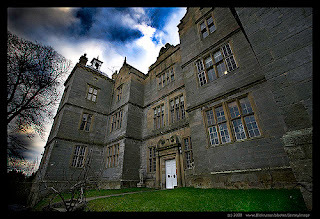 It imposes its grandeur, and announces its stature, as one of the most important historic houses in Wales – and, if reports are to be believed, it’s home to around 15 ghosts. Plas Teg was built in 1610 by Sir John Trevor – a Welsh politician - as a family home and served as that until the death of Sir Trevor’s wife, Lady Margaret, at the beginning of the English Civil War. The remaining members of the family moved to one of their many other properties and rented out Plas Teg for the duration of the war. The Trevors eventually returned and generations of the family continued to live there until 1930 when it was sold to the War Office and provided housing for soldiers during the Second World War. Sadly, the house declined over the ensuing years – so much so, that it was put up for demolition in the 1950s. The prospect of losing this fine mansion caused a public outcry and, fortunately, a descendant of the Trevors – Patrick Trevor-Roper – saved the day. He rescued the property, with help from the Historic Buildings Council, and partially restored it. Once again the house was habitable and was occupied by tenants until it was sold in 1977. Sadly, the new owners only lived on the ground floor, meaning the rest of the house once again fell into decay. Better times lay ahead for this fine building though. Cornelia Bayley bought it in 1986 and sank a great deal of her own money, plus financial aid from CADW (the historic environment arm of the Welsh Government). Ten months and £400,000 later, Cornelia Bayley opened her home to the public, who are welcome to visit to this day. Thirty years after she started this mammoth venture, she is still hard at work, restoring, repairing and living in the home she loves so much. For ghosthunters, there is a wealth of material and a number of characters to choose from. 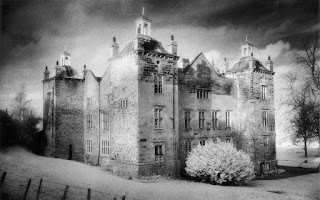 Plas Teg is well aware of its reputation and hosts regular ghostly events. With such a rich and varied history, it comes as little surprise that there should be so many spirits around the place. Not only has it been used as a family home, but also as a court, where people were tried, convicted and even hanged, under the unfamous 'Hanging' Judge - Jeffries. Of the many ghosts of Plas Teg, one of the most notable is that of Sir John Trevor’s daughter – Dorothy. Her story is all too familiar. She fell in love with a local farmer’s son called Iorwerth. Naturally this was deemed a most unsuitable match by her wealthy father. The lovers were forbidden to see each other, but Dorothy was determined. The couple planned to elope. 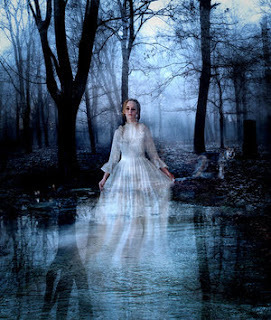 She buried her jewellery near the well and when the appointed night arrived, Dorothy slipped out of the house and ran to the hiding place to retrieve her treasure. There was no moon that night and she lost her footing. Tragically, she fell down the well to her death. For many years, people have reported sightings of a mysterious woman in white on the main road (the A541) at the spot where she might well have been running to meet her lover. It took two months for her body to be found and when it was, her jewellery box and all its precious contents were missing. Poor Iorwerth was distraught. He had good reason to fear her father’s wrath and thirst for vengeance, and was scared he would be accused - not only of stealing her jewels, but - of murdering her in order to obtain them. Rather than wait for, what he saw as, the inevitable, he took matters into his own hands and hanged himself. Now he too haunts the grounds, searching endlessly for his beloved Dorothy. At the turn of the nineteenth/twentieth centuries, a gardener was frightened half out of his wits by unseen hands grabbing him and trying to pull him down the well. From somewhere he summoned up the strength to tear himself free. He looked down into the dark water, but saw nothing. In the mid-eighteenth century, a later Sir John Trevor (the fifth of that name) discovered his wife was having an affair. Consumed by jealousy (and probably no small quantity of wine) he allegedly killed her, but, riddled with guilt, he drove his carriage at manic speed through the ground of Plas Teg and hit a tree. He sustained terrible injuries and died a slow and tortuous death. More fatal jealousy occurred in 1815 when the 16 year old Elizabeth Trevor-Roper was hotly pursued by two male suitors. Alas, she loved just one of them and when she admitted as much, the spurned lover murdered her chosen one and chased Elizabeth back to the house. The poor girl feared for her life and a struggle ensued, with tragic consequences. Elizabeth either fell – or was pushed – down the well and died. There have been many reports of a ghost of a man and a woman running down one of the corridors. The man has a bloody wound to his shoulder while she, in white, clutches jewels. An echo of her ancestor perhaps? If you do decide to visit and are disappointed by not seeing any physical manifestations, don’t despair, you may hear or feel them instead. All over the house, it seems the spirits are a playful bunch who like to touch, stroke, prod or push. They also have the ability to affect the atmosphere in a room to such a degree that people experience sudden feelings of despair, happiness, anger or extreme sadness. A woman wailing, sounds of giggling, whispering, knocking, tapping and footsteps are also frequent. You certainly get your money’s worth at Plas Teg! I can attest to the unique atmosphere of this house and my one visit so far is unlikely to be my last.